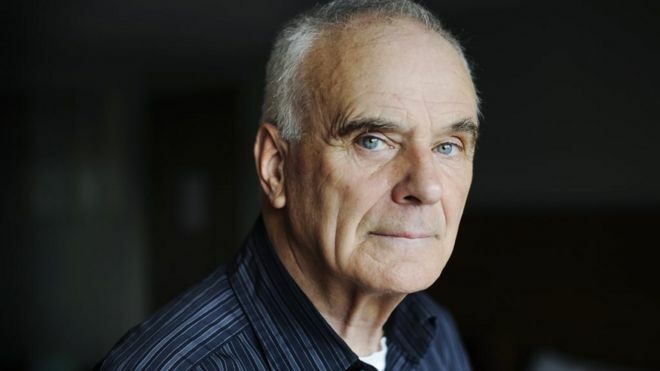 Sir Peter Maxwell Davies, a former Master of the Queen’s Music (or Max, as he was affectionately known) was a hugely important figure in the cultural life of our nation. I for one find it difficult to imagine the UK music scene without him as a vibrant part of it. He was a prolific composer who covered an immense range of styles within his music, a passionate advocate for the arts as an essential part of the nations cultural life, and a great supporter and encourager of young people. In 2001 I was a sixth form student at Chetham’s School of Music in Manchester, and I was very privileged to play in the premiere of his orchestral work “High on the slopes of Terror” with Chetham’s Symphony Orchestra (my trumpet playing days). The piece was inspired by a trip to Antarctica – Mount Terror is an extinct volcano on Ross Island – and this evocative 20 minute work really opened my ears to the world of contemporary music. It was also the most difficult thing I had ever tried to play; the parts were rhythmically and technically challenging for 17 year old me! Max came to listen to our last week of rehearsals, and after one particular session we had a Q&A with him. One of my fellow students asked why he had written such a difficult piece for a youth orchestra. His answer; “Well, it would appear that you can play it!” He believed very strongly that the way to write for youth ensembles was not to dumb down but to set them a challenge they could rise to. He was absolutely right. We may not have given the most polished performance of this immensely challenging piece, but we all learnt so much as a result of the process. I met him again at Manchester University (his Alma Mater) when we had a study day with him to celebrate his 70th Birthday. It was a privilege to hear him talk about his own works. He had the ability to make the complicated musical structures that he employed in some of his earlier works easy to understand and he was, not surprisingly, an engaging speaker. 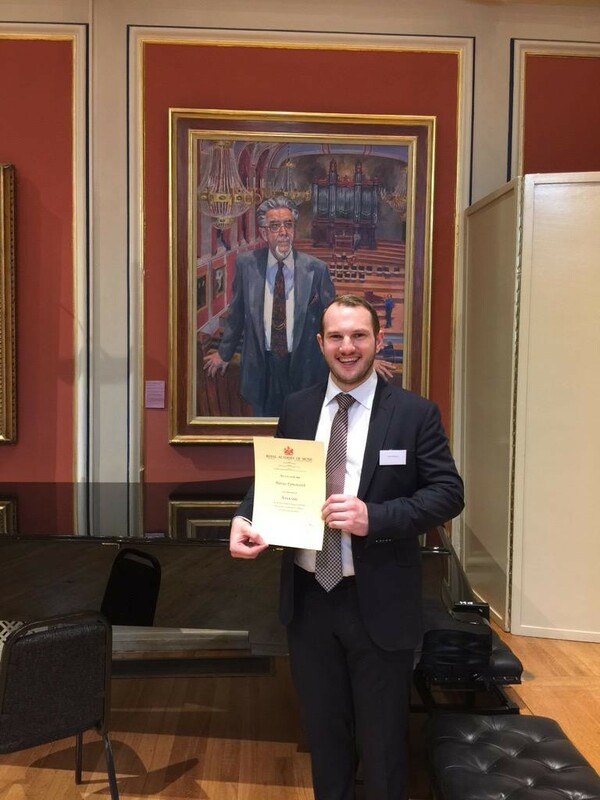 Then, in my last year of postgraduate study at the Royal Academy of Music, I was again very privileged to take part in another premiere, this time of his opera “Kommilitonen!” . Written for students and about students, this challenging work was another great example of his ability to encompass a range of musical styles within one work, and through his writing he challenged and inspired us to achieve something extraordinary. Whilst he was working with us at the Academy, I was able to talk with Max about his seminal music theatre work “Eight Songs for a Mad King” which I was due to perform the following year. Again, he made this daunting work seem very approachable to me. Eight Songs is something of a vocal tour de force and calls for some unusual vocal effects, but he encouraged me to find my own approach to the work. For him it was far more important for me to be true to the emotional intention of the piece than to tie myself in knots trying to sound like another singer. Anyone who knows it will be aware that there is nothing conventional about the vocal writing, but his encouragement gave me the confidence to tackle it. I’ve performed it a couple of times now and it is one of the most enjoyable pieces of theatre I have participated in. It is a testament to his commitment to supporting young musicians that I encountered him at three separate educational institutions. His enthusiasm for music was palpable at all times and he possessed an almost impish sense of fun and always had a glint in his eye. He made headlines during his time as Master of the Queen’s Music for walking out of a restaurant that refused to turn off the background music (I’m with him on that one) and he was never one to be passive in his beliefs. His passionate advocacy for music and its place within society is something that still inspires me, and I hope that those of us who were fortunate enough to have met him will pass on that enthusiasm to future generations. The popularity of the Festival over the August bank holiday weekend means that the availability of accommodation is at something of a premium. Whilst the Festival has no direct responsibility for the availability of accommodation, we do want to keep you as up to date as we can about all issues that concern the Festival. Kelham House Hotel, Saracen’s Head, Crown Hotel and Bramley Apple Inn, Southwell have limited availability – please check with the individual establishments. Do check airbnb for alternative B&B accommodation in the area. Accommodation information may be found on our Accommodation page. How can it be that what was for so long a plan so quickly becomes a memory? But what a memory! What happened between the end of the plan on Thursday 27th August and the end of the 2015 Southwell Music Festival on Monday 31st has given us all memories to treasure – whether we were audience members or performers. The highlights are too numerous to mention. Looking back further – to this time last year – I think most of us connected with the first Festival were in a mental state best described as euphoric shock. This year there is a sense of euphoria among audience members and evidently among some performers – but perhaps less shock. 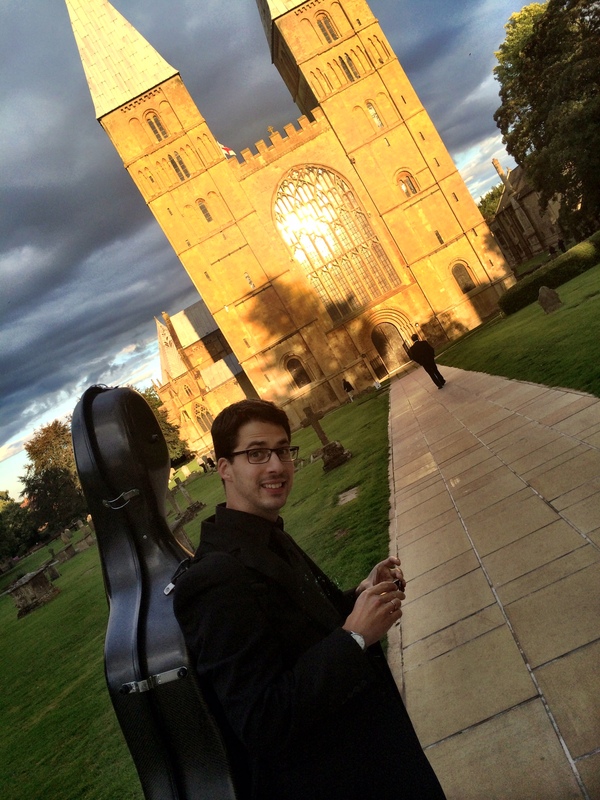 Beyond all the important practical hopes and expectations for the Festival – raising Southwell’s profile, giving opportunities to young musicians – what is becoming apparent is that bringing together so many talented and enthusiastic performers, many of whom already know and admire one another’s work, generates a special energy which fuels the Festival’s artistic achievement. After a good rehearsal of Elijah on Saturday afternoon I realised this the moment we began the performance: the mood had become supercharged. The tone was set by the drama of Andrew Foster-Williams’ opening declamation and was picked up by the orchestra from the very start of the overture, by the choir, and finally by our other wonderful soloists when their turn came. The mood that night was captured by William Ruff in his review for the Nottingham Post and the wider feeling of the Festival is summed up by our social media advisor Cheyney Kent in this blogpost. Thank you to our wonderful performers and to everyone involved in the local community and beyond who helped in so many ways to make the 2015 Southwell Music Festival such a memorable occasion. We look forward to meeting again from 25-29 August 2016. What are the elements that make a successful festival? With the second Southwell Music Festival (27-31 August) now less than two weeks away I like to think we have several of the most important ingredients in place. First we are blessed in our wonderful location – not only the town of Southwell itself but in the main performance spaces at its heart – our great mediaeval Minster, Cardinal Wolsey’s intimate State Chamber and the delightful Georgian Theatre at the Old Theatre Deli. Then an Artistic Director needs fine performers, and I am grateful to around 80 brilliant colleagues for agreeing to spend the Bank Holiday weekend in Nottinghamshire. 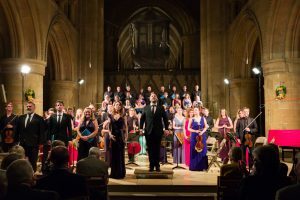 They come together as the Southwell Festival Sinfonia and Southwell Festival Voices for our main work – Mendelssohn’s Elijah – on Saturday 29th but, in a variety of combinations, also take part in no less than 13 other events over the five days of the Festival. We are also indebted to an outstanding quartet of Elijah soloists – led by bass-baritone Andrew Foster-Williams singing the title part, with soprano Sarah Tynan, mezzo Madeleine Shaw and tenor Nick Pritchard. To get the event off the ground we have needed financial and in-kind support and the organising team greatly appreciates the generosity of well over 200 individuals and organisations. The Festival is organised by volunteers, and volunteer support is vital to its success: as Geoffrey Bond – our very generous Festival Sponsor for 2015 – acknowledges, community support is vital. After that of course we need audiences, and the response at the box office has been very encouraging: only a few tickets remain available for Elijah, for our two late night concerts in the Minster and for the Conversation with Dame Felicity Lott (29th August, 4.30pm). The box office at the Cathedral Shop: 01636 812933. However the most important element in a successful music festival is the music itself and this year it is more elemental than usual: inspired by the fire, flood, earthquake and whirlwind which dominate the epic drama of Elijah our Festival programme presents the elements in a variety of guises. The power and beauty of water is celebrated in our late night sequence of poetry and music Voices on Water (Thursday 27th, 10pm) including the seascape of Richard Rodney Bennett’s Sea Change, the snowbound solitude of Poulenc’s Un soir de neige and Eric Whitacre’s journey to the eye of a storm in Cloudburst. Picking up the theme, Associate Artistic Director Jamie Campbell suggested a work he has long wanted to perform – Haydn’s Seven Last Words of Our Saviour on the Cross (Friday 28th, 10pm) which concludes with an amazing depiction of an earthquake executed with Papa Haydn’s customary dramatic genius. Water also dominates our Schubertiade – and not only in the Trout Quintet. One of most elemental works in the orchestral repertoire has to be Stravinsky’s The Rite of Spring and though the orchestral version is currently beyond this Festival’s compass I was thrilled when our two wonderful ‘house’ pianists James Baillieu and Libby Burgess agreed to take centre stage for a rare performance of the composer’s own arrangement for four hands at one piano. The inclusion of The Rite of Spring in our Brave Horizons programme (Sunday 30th, 7.30pm) and the availability of the necessary instrumentalists led to a mini-Stravinsky theme: that programme also includes the Octet, and I’m particularly looking forward to a rare chance to present Stravinsky’s Mass in a liturgical context at the Festival Eucharist on Sunday 30th August at 10.30am. However despite all these preparations there is one element which contributes greatly to a successful festival but remains stubbornly beyond the control of this particular Artistic Director – namely the weather. Come rain or shine we hope to see you soon. Lowdham Book Festival – and Britain’s Got Talent! Southwell Music Festival works closely with a number of local organisations for mutual promotion. We receive particularly valuable support from the excellent Lowdham Book Festival run by Jane Streeter from her independent bookshop – The Bookcase in Lowdham. This year’s Book Festival – the 16th – takes place from 19-28 June and, as ever, the programme includes a splendid range of guests and activities to suit most tastes. Highlights among the guest speakers include appearances by Earl Spencer, Alan Johnson, Marina Fiorato, Eve Makis, David Crystal and Allan Mallinson, and there are traditional favourites including the Reading Group Day, Craft Day, Cricket night and the free day of talks, stalls, children’s events and music to end the week. Click here to download the programme as a PDF document. You will need Acrobat Reader to open it on your computer, which can be downloaded free here. The box office is number is 0115 966 3219. 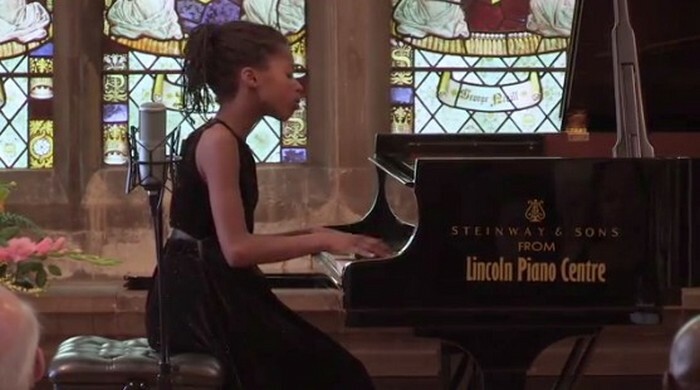 We thought you would also wish to be kept up to date with the activities of Jeneba Kanneh-Mason (here performing at the 2014 Festival) and her siblings. This coming Saturday 23rd May she can be found playing the cello on peak time ITV1. Yes, the Kanneh-Masons will be on Britain’s Got Talent this Saturday. It had to happen. The programme starts at 8pm. They are playing a sextet with the eldest, Isata (18), at the piano, Braimah (violin), Sheku (cello), Konya ( violin), Jeneba (cello) and Aminata, aged 9 on violin. That still leaves the five year old who will no doubt join future ensembles. Saturday’s programme is the last of the Judges’ Auditions to determine who will be in the semi-finals next week. Personally I can’t wait to see how the judges respond to such prodigy. On a more sober note there are still a few seats remaining for the appearance by the excellent Ex Cathedra who bring Rachmaninoff’s Vespers – one of his greatest works – to Southwell Minster on Wednesday 3rd June at 7.30pm. For tickets call 0121 345 0603, visit www.excathedra.co.uk, or the Southwell Minster Cathedral Shop on 01636 812933. 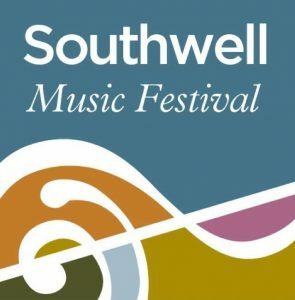 Tickets for Southwell Music Festival in August continue to be in big demand so we hope you will make your booking soon if you have not already done so. https://www.southwellmusicfestival.com/wp-content/uploads/2014/12/smf_day6.jpg 390 700 Cheyney Kent https://www.southwellmusicfestival.com/wp-content/uploads/2016/08/southwell_music_avatar-295x300.jpg Cheyney Kent2015-05-21 07:53:242017-12-08 22:38:04Lowdham Book Festival – and Britain’s Got Talent! 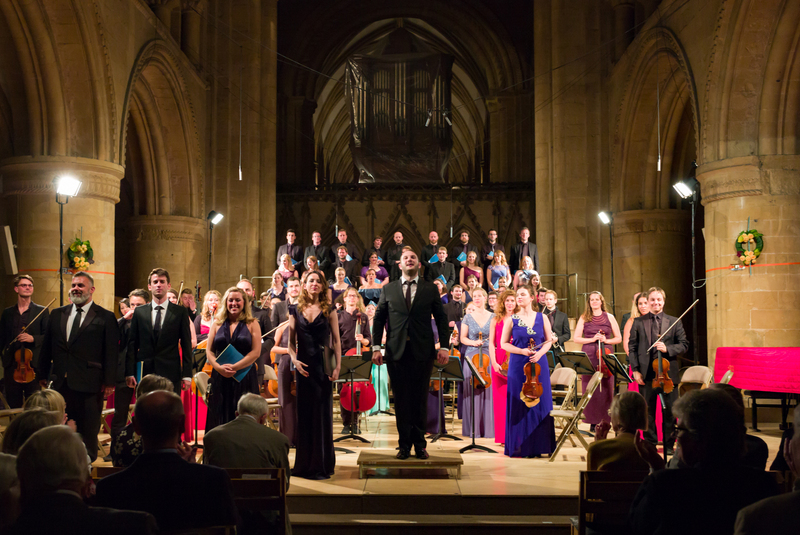 Southwell Music Festival has been immensely fortunate in the strength of support from Festival Friends: in our first year (2014) we were supported by more than 80 Friends – a quite remarkable outcome for a new and untried event. As we prepare for the 2015 Festival (27-31 August) I’m delighted to report that we are already close to that total. The majority of Festival Friends are local but membership extends well beyond the borders of Nottinghamshire and Derbyshire – to Cheshire and Greater Manchester in the north west; to Cardiff, Bristol and Somerset in the south west and London and the Home Counties in the south east. This week sees the opening of Friends priority booking for the 2015 Festival – for Gold Friends from 13th April, Silver from 20th and Bronze from the 27th – before public booking opens on 4th May. For many people priority booking and special prices are among the most important benefits of Friends membership however there are more – including one of the most informative Friends newsletters I have seen and, during the Festival, the private Friends reception which is a chance to meet performers informally and to enjoy a great social occasion. It’s not too late to join the Friends for 2015 and take advantage of these benefits: please go here for details. At the end of a momentous year in the life of our fledgling festival I am writing to wish you a very Happy Christmas and a prosperous New Year and to thank you for being part of what we have achieved so far. Over the Christmas holiday we will publish twelve more highlights from the 2014 Festival here on our News page – with something new appearing each day between Boxing Day and Twelfth Night. Our own celebration of the Twelve Days of Christmas. I am also delighted to announce our second London concert – taking place as last year at the home of Sir Vernon Ellis in South Kensington. The 2015 concert will be held onTuesday 3rd February. Last year Nottinghamshire came to London in force and we hope you will also support us on this occasion. Looking a little further ahead we will be announcing the programme for the 2015 Festival on the evening of Friday 13th March in the Minster at 7.30pm. We hope you will join us to hear details of the exciting plans which are now taking shape. Finally while you have your diary open it’s worth reminding you that the 2015 Festival itself will take place from Thursday 27th to Monday 31st August. All this information – and very much more – is contained in a special newsletter which you can download here. Seasons greetings from all at the Southwell Music Festival. https://www.southwellmusicfestival.com/wp-content/uploads/2013/09/southwell_christmas.jpg 295 1030 Cheyney Kent https://www.southwellmusicfestival.com/wp-content/uploads/2016/08/southwell_music_avatar-295x300.jpg Cheyney Kent2014-12-19 17:49:352014-12-23 17:06:14Happy Christmas! You can now view our 2014 Festival Gallery. Photos courtesy of tenor Andy Staples and cellist Karel Bredenhorst. Once in a while, life throws up an event so special that those who were there will for ever remember it with deep affection; and, in attempting to convey the elemental joy of the occasion to those who were not, can only say “you should have been there”. To my way of thinking – and I suspect I am not alone, last weekend was one of those rare, life-enhancing, and possibly life-changing, experiences. We were privileged to be there and to be part of it in whatever way. What we experienced at the inaugural Southwell Music Festival was not due to the contribution of any one of us; it arose from our collective effort to make and be part of something special. I think I can say without fear of contradiction that we did – and it was. Thank you to everyone who was with us on the journey and who shared the experience. We established the Southwell Music Festival in such an emphatic way that several people – audiences and performers – have commented that they could not believe that this was the first Festival; still less that it was accomplished entirely with voluntary effort. Time will give perspective to what we have achieved but already it is possible to say that we go forwards to next year with the confidence of knowing that our musicians are keen to return; that audiences are hungry for more; that people enjoyed playing host to our performers; and that there is interest in considering the financial support we will need. To put this enthusiasm in perspective we were lucky enough to have Hugh Canning, music critic of the Sunday Times, with us on a private visit: he sent a couple of enthusiastic tweets following The Creation and described the State Chamber as “perfect for song & chamber music”. He also much enjoyed choral evensong. I am also pleased to report that our benefiting charity Framework is more than £1,400 better off due to the generosity of those attending our Fringe events, and that the Southwell Artists enjoyed visits from many of our audience members. Initial indications are that visitor numbers to the town over the weekend were significantly up and that local traders benefited. I am indebted to two of our visiting musicians for portraits of the weekend in words and pictures which I share with thanks to Cheyney Kent for his affectionate blog and to Andrew Staples for his evocative pictures.